Another project succesfully finished and launched. 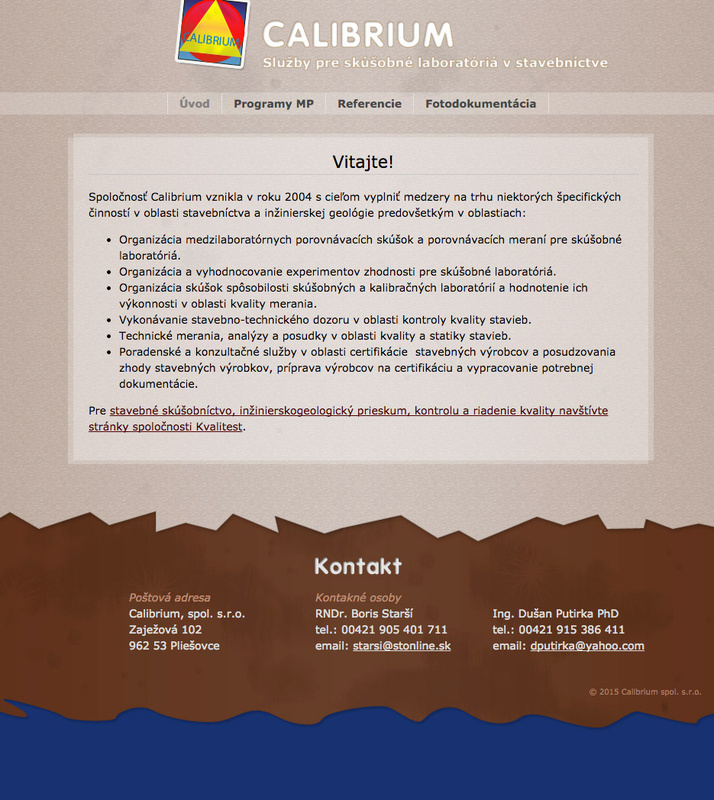 A simple presentation for a Slovak company providing services for laboratories in construction business. I provided and executed the whole presentation, from graphic design to integration with WordPress content management system. Front page welcomes you and provides a concise description of what this company offers. 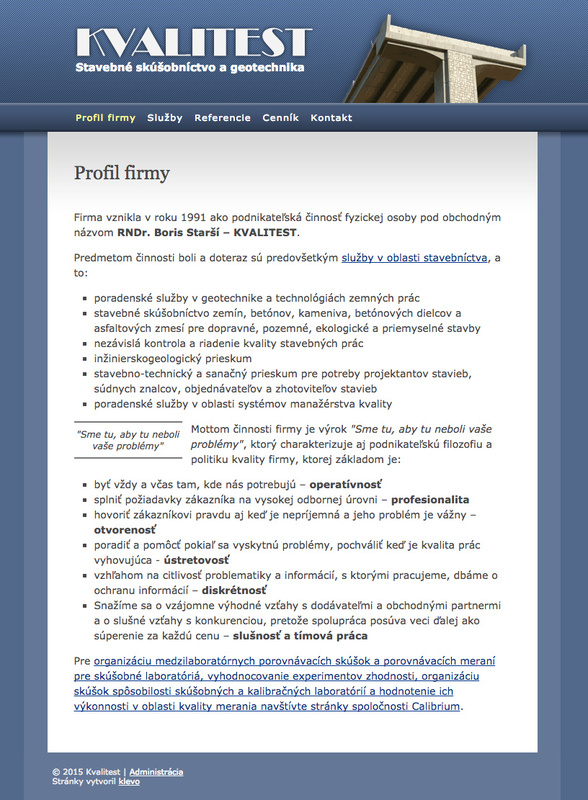 Keywords: Služby pre skúšobné laboratóriá v stavebníctve, Organizácia a vyhodnocovanie experimentov zhodnosti pre skúšobné laboratóriá, Technické merania, analýzy a posudky v oblasti kvality a statiky stavieb. I am very proud of this one. Kvalitest – Stavebné skúšobníctvo a geotechnika dates back to around 2007 and as such is among the first professional websites I’ve build in my career. After 8 years I am satisfied with how the design and implementation is still going strong and stands the test of time. Granted, it’s a simple website, it could use a touch of responsiveness for the mobile devices, but it “gets the job done” par excellence. In the backend it features a PHP CMS I’ve build back in the day, called Wildflower (now discontinued). The site has a decent SEO and is on the first position for searches concerning this business on google.sk. This is in a nutshell. To learn more, see the About Me page. © 2006-2019 Robert Starsi. All rights reserved.